Canada’s most recent results (2015) in the Programme for International Student Assessment (PISA) which include mathematics, science and reading every 3 years for 15 year old students have been much admired. In the 2015 PISA results, Canada declined in Math scores overall compared to the last assessment in 2012.2 Generally, Math has become a divisive issue across the country as test scores declined or remained flat in every province except Quebec and Prince Edward Island. Quebec not only improved its score but continued to come out top in Mathematics relative to the Canadian average in the PISA results while Ontario and provinces in the Maritimes and Prairies were below the average. Of interest is PEI which improved its score over the last PISA results despite being below the national average. Although the 2015 PISA results stated that there might be a non-response bias in Quebec, other assessments have ranked Quebec as the leader in Mathematics. In the Pan-Canadian Assessment Program (PCAP) for Grade 8 students, Quebec was the only province that is above the national average in Mathematics. Ontario on the other hand was the sole province that showed no improvement over a period from 2010 – 2016 in this latest PCAP report. In the 2018 Education, Quality and Accountability Office (EQAO) results, the percentage of elementary Grade 3 and Grade 6 students meeting the provincial math standard decreased over the last five years.3 An increasingly number of families has sought private tutoring to boost the students’ grades and it’s possible that the scores might even be worse without this. Results for Grade 3 students fell to 61% in 2018 from 67% in 2013. More alarming was the results for Grade 6 students which decreased from 57% in 2013 to 49% in 2018. 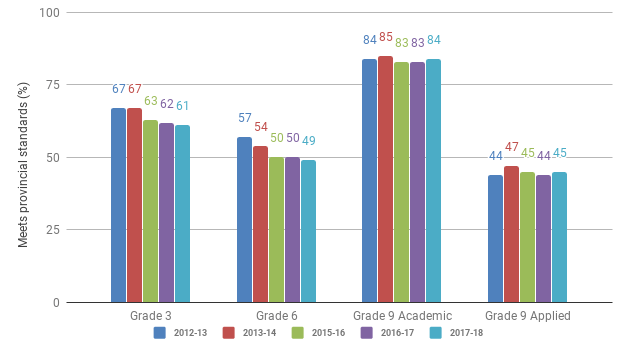 In high school, of the 96,996 Grade 9 Academic stream math students, 84% did well and met the provincial math standard which remained high over the last five years. However, the 33,451 students enrolled in the Applied stream struggled with 45% in 2018 meeting provincial standard. Although the results for the Academic and Applies Grade 9 streams have been stable, there is a need to improve the performances of students in the latter. Some experts have said that eliminating streaming is the way to go. In a Toronto Star article (January 2018), it was said that TDSB was going to de-stream over 3 years. There are two different camps on how to approach the stagnation or decline in math education across Canada. Many educators and families are pushing for the Traditional Math Method saying that the Discovery Math Model introduced in the Canadian curriculum has led to a decline in the math standard in the country. 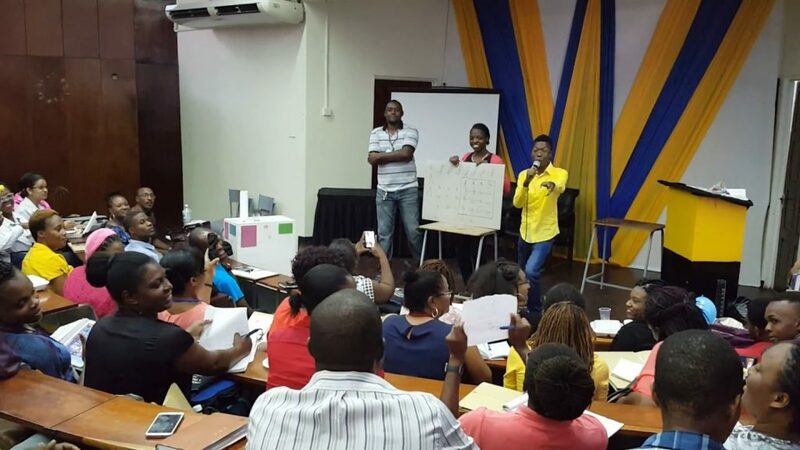 They contend that the key is to devote more class time to work on basic fundamentals like addition, subtraction, multiplication, division, decimals and fractions. This Traditional approach has been strongly advocated in the research done by Anna Stokke in the C.D. Howe Institute commentary (Commentary No. 427 May 2015). According to this commentary, “student fluency with particular math concepts, such as fraction arithmetic, in early and middle years has been shown to predict future math success”. On the other side, proponents of Discovery Math stress on problem-based and experiential learning where students need to apply thinking skills to problem solve in our increasingly complex and globalization world. To them, math education should not be limited to computational skills in arithmetic; non-computational skills such as data analysis plays a very important part in Big Data analytics where large amounts of data are studied to find hidden patterns, correlations and other insights to help us understand our society better. With our Canadian and international RISE programs, Pueblo Science has been delivering activities and learning kits to engage young students in math and sciences through active, hands-on learning experiences, discovery, experimentation and problem-solving opportunities. 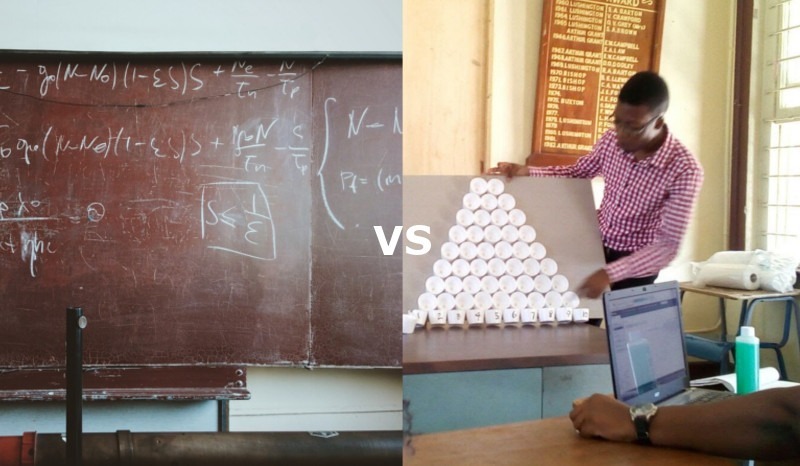 For example, to teach about probability distributions, we use marbles falling down a pyramid of styrofoam cups; we present several math concepts such as basic statistics and the mobius strip, and more broadly, how to approach problem solving and estimation through mathemagic tricks and demonstrations with lots of class and audience participation! This blog article was written by Russell K. Hassan.